Wow! Finished my swaps for Leadership with a bit more than 12 hours to spare! I am loving using FREE Sale-A-Bration product! I love the colors of the designer series paper, ribbon and buttons. It's so fresh and bright! Now all I have to do is pack. Orlando, here we come! Hmm...Whom Should I Give These To? I was delighted when I opened up my February Paper Pumpkin and found the makings for these cute little treat bags! If you haven't tried Paper Pumpkin yet, this is the perfect time to try it! Sign up for a 3 month subscription - on sale right now for $54.95 - and pick a FREE Sale-A-Bration item! This Bigz Die is fantastic! On the surface, it may seem like you can only do one or two things with this die. While, yes, you can only make a berry basket, you can make so many different versions of it! Forget the fact that you can choose any color of card stock. You can put on the handle....or not. You can use the handle around the top instead of the scallop. You can use a scallop around the top - and double it up with a coordinating color like I did. You can use the scallop edges glued together for a handle. 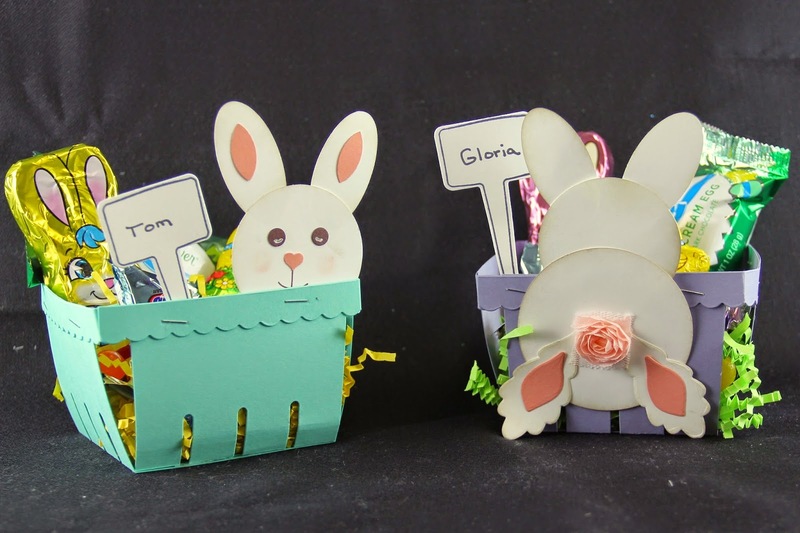 You can emboss the basket with an embossing folder before putting it together. You can stamp on the basket before putting it together. All of that and we haven't even discussed embellishments!! Can you tell that I just love, love, love this die?? Supplies: Crushed Curry, Whisper White & Coastal Cabana card stock; Calypso Coral, Crushed Curry & Coastal Cabana markers; Best Year Ever Accessory Pack and Designer Series Paper; White Bakers Twine; Ornate Tag Topper Punch. Here is a treat bag made with the new Mini Treat Bag Thinlits Die. Super easy and really cute! I used the Best Year Ever Designer Series Paper and Accessory Pack along with the stamp set Best Day Ever. The Thinlits Die is in the Occasions catalog. All of the supplies used to make the bag are FREE Sale-A-Bration items being offered right now. It just doesn't get any better than FREE! It took me a second or two to realize the flowers on the cover of the Occassions Catalog were made of paper. I bought the kit and wanted to have this displayed at my Open House yesterday. I had fun putting this together. I will tell you it takes a lot of time to complete and you will have a lot of bonding time with your hot glue gun! But when it's done, you will have a beautiful vase of flowers that will not wilt or die! I was intrigued by the Adventure Bound Designer Series Paper Stack in the Occasions Catalog. There are some really pretty sheets. What's different about this paper stack is that there are sheets with photographs. The coordinating stamp set, Adventure Awaits is perfect complement to the designer series paper. And you can save 15% if you both as a bundle! I love Sale-A-Bration....that time of year where we can earn FREE product! FREE stamps, FREE Designer Series Paper, FREE ribbon and buttons. I can't wait to show you some fun projects featuring FREE Sale-A-Bration product! I'll start with this quick and easy Birthday Wishes card. My favorite Spring flowers are Tulips, so when I saw the Love is Kindness stamp set in the new Occasions Catalog, well, I knew it was going to be coming to live at my house. We made this card at a workshop last week. It just makes me happy! Supplies: Love is Kindness Stamp; Pink Pirouette & Whisper White card stock; Painted Blooms Designer Series Paper; Oval Collection Framelits' Black Memento Ink; Pink Pirouette and Wild Wasabi Blendabilities Markers; Painted Blooms Cotton Twine.